If there’s one thing you learn while traveling, it’s that something that has one meaning in one place can have a totally different meaning somewhere else. 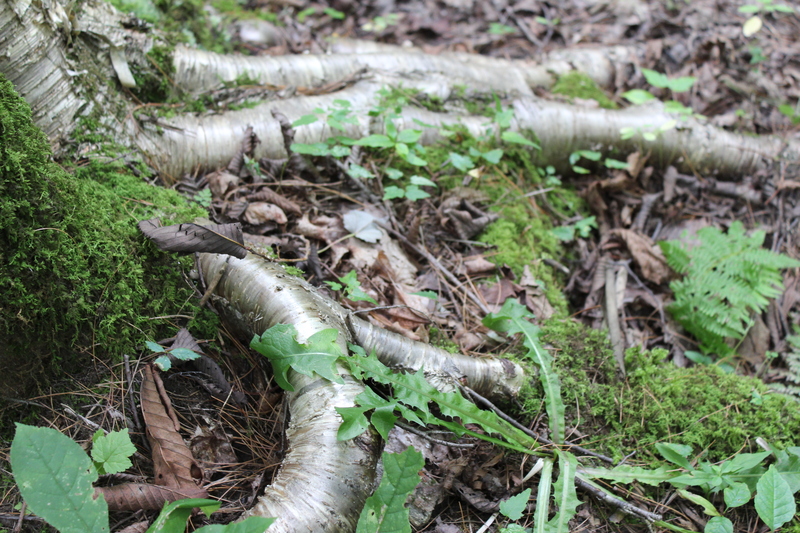 As in, telling someone that you’re “going for a hike” in Ohio means that you’re going on a slightly rigorous nature walk, perhaps with a little workout involved as you head uphill for one brief moment or climb over fallen trees. Yeah, that’s not the case here. 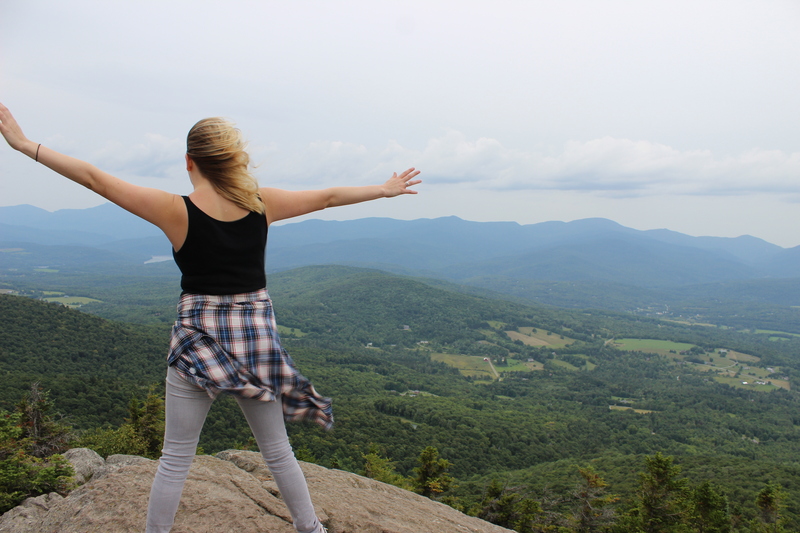 Going for a hike in Vermont means that you’re climbing a mountain, straight up. And that’s exactly what I did. 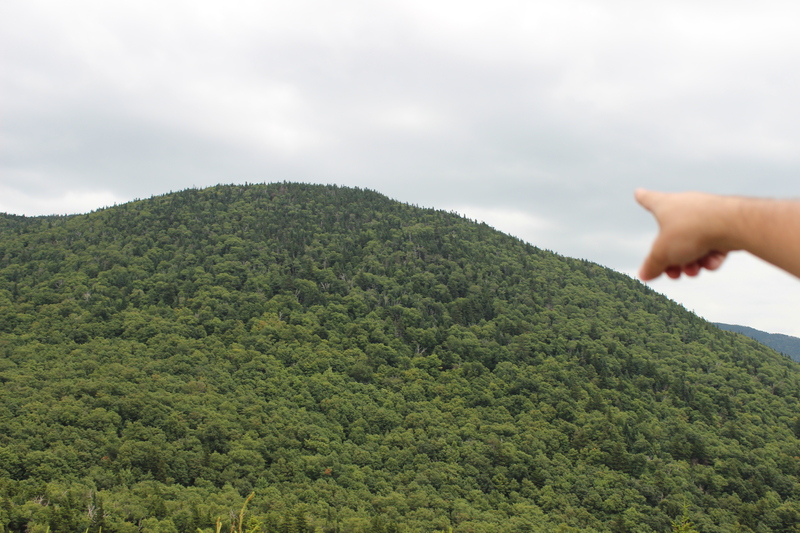 Hikes in Vermont are categorized mainly by three levels of difficulty: a green circle for Easy or Beginner, a blue square forIntermediate, and a black diamond for Difficult. I’ve heard that there are double black diamonds out there, but I honestly don’t even want to think about what that entails. 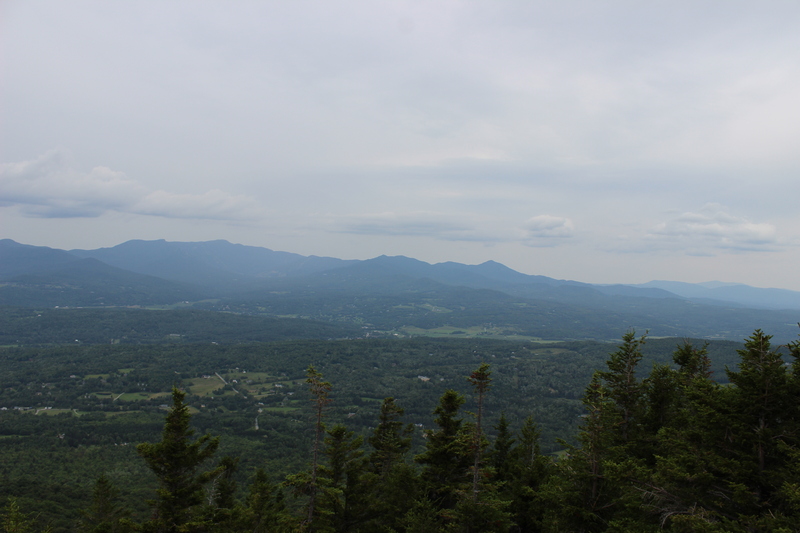 For our hike, my boyfriend and I chose “Stowe Pinnacle Trail,” which was in the blue square level of difficulty. This being our first hike, we didn’t want to over exert ourselves, but wanted a bit more of a challenge than the equivalent of snowboarding the Bunny Hill at a ski park. Did I say that right? I meant A BIT of a challenge. A BIT of a challenge is not what we got. The trail was only 1.65 miles and started out with these cute little plank bridges that crossed over muddy areas and tiny ravines. It was sweet, really, and I was delighted taking pictures along the way of our adorable adventure into nature. Soon after my first snapped pics, however, the trail started to incline. No big deal, we were prepared for that. “Thank goodness we picked such a cloudy, cool day to do this!” as I wiped sweat from my brow. “I’m sure we’re at least halfway there…” We had only completed the first 1/5 of the trail at that point. 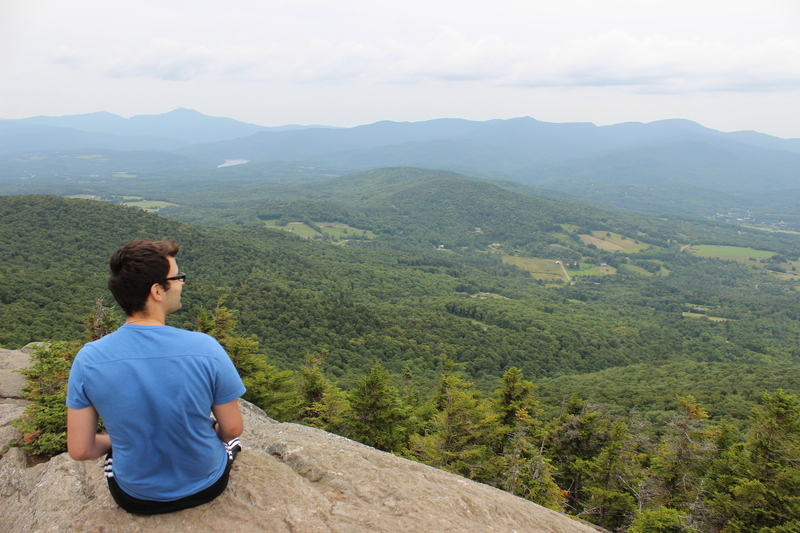 I’m going to stop ranting about it now, because if any of you go to check out the trail and its reviews, you’ll see nothing but remarks on how easy it is, “even for four-year-olds!” Moral of the story is: There’s nothing like a hike up a mountain to tell you how out of shape you are.